Did you notice how Google Search has changed? Or how speech recognition and language translation has got better? I am sure you haven’t missed the personalized recommendations on sites like Amazon and Netflix. That’s machine learning and artificial intelligence at work as it shapes our everyday lives. It’s also an in-demand career that is future proof for now. For experienced programmers, machine learning skills are also not too difficult to learn. It is just another programming challenge that can solve big problems. 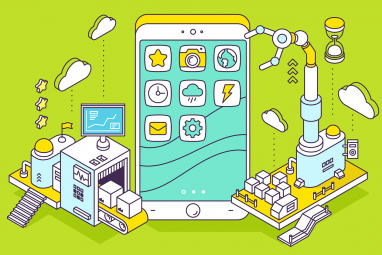 If you have a logical mind, take one of these Udemy machine learning courses to understand the basic technology behind machine learning. This is part of our continuing series on the best Udemy courses you can benefit from. Key lesson: Learn machine learning and data mining techniques employers are looking for. Data mining is the grease that oils the wheels for machine learning. And, without this fuel, you cannot build an artificial neural network. A basic knowledge of programming with Python is one of the pre-requisites of this course (and many other machine learning courses). The course starts with a crash course in Python and then takes you into the concepts of probability and statistics that are at the core of a data scientists job How to Become a Data Scientist How to Become a Data Scientist Data science has gone from a newly coined term in 2007 to being one of the most sought-after disciplines today. But what does a data scientist do? And how can you break into the field? Read More . Any course on machine learning and artificial intelligence need to be exhaustive. This course is hands-on and practical with many downloadable code samples. Also, Frank Kane brings his real-world experience from the nine years spent at Amazon and IMDb. By now, you should have noticed the importance of Python for machine learning. 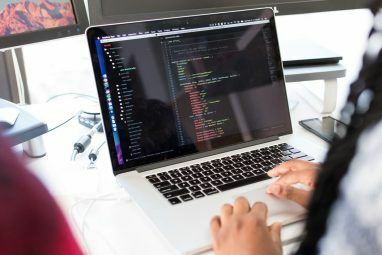 We have answered the most frequently asked questions about Python The Most Frequently Asked Questions About Python Programming The Most Frequently Asked Questions About Python Programming In this article, we'll walk you through everything you need to know about Python as a beginner. Read More before but let’s understand its role in this field. Just one of the reasons for its popularity is the easier syntax. That makes it more intuitive to apply as a machine learning language. Because of its popularity, there are a multitude of high-quality resources for mastering this Open Source language. This Udemy course will take you through 19 coding exercises for both Python 2 and Python 3. It is suitable for a beginner who has never written a line of code and also for someone who wants to switch to this language. If you are serious about machine learning, then you have to get dirty with both Python and R. The R programming language The Best Free Places to Learn R Programming Today The Best Free Places to Learn R Programming Today "R" is a programming language that is climbing the popularity charts. We talk about why is R getting more popular, what can it do, and where can you learn how to use it? Read More is a popular choice for statistical programming and data modeling. So, take on this course if your high school mathematics is still sharp. But don’t worry—the course isn’t too heavy on math. It is a practical course. The expert instructors coach you through 2-7 algorithms on each topic. Machine learning uses algorithms to learn from data and make predictions. So, you will learn how to code each algorithm with Python and R.
To round it off, you can download the templates to refine and use in the future for any project. The same instructors from the SuperDataScience team bring you another course on machine learning algorithms. Deep learning is a field within the larger scope of machine learning. Think of it as the next step in the evolution of machine learning. The course above this on the list gives you a larger view with both Python and R. This course narrows it down as it relates to the design of artificial neural networks What Are Neural Networks and How Do They Work? What Are Neural Networks and How Do They Work? Neural networks are the next big thing when it comes to heavy computations and smart algorithms. Here's how they work and why they're so amazing. Read More . The course is broken down into two volumes: supervised deep learning and unsupervised deep learning. To cover both, you will learn all about artificial neural networks and self-organizing maps. Also, the instructors put you at ease by explaining that you don’t need advanced math or statistics to learn and apply deep learning. TensorFlow AI systems got in the news recently when it was revealed that Google was helping the US military drone programme. It’s the same AI that goes into the intelligent portrait mode on Pixel 2 cameras. That makes this a very valuable machine learning course. TensorFlow was developed by Google Brain and today it is one of the most popular open-source libraries for Deep Learning. It’s a major part of the free machine learning course by Google What Is Machine Learning? Google's Free Course Breaks It Down for You What Is Machine Learning? Google's Free Course Breaks It Down for You Google has designed a free online course to teach you the fundamentals of machine learning. Read More . The course is an introduction to TensorFlow. With the help of Python, you will be able to enable you to code for your deep learning project. You will start off with a crash course on Python libraries for data science, go into the variety of neural networks, and wrap it up with tutorials on how to build one with TensorFlow. According to PayScale, a beginner machine learning engineer earns an average of $99,993 per year. Yes, the machine learning and artificial intelligence landscape are gargantuan. It can also be daunting for anyone to find a firm toehold here because of the lack of a clear learning path. One of these five courses will help you take that first important step and decide if where you want to go with a career in computer science What Is Computer Science? What Is Computer Science? In the simplest of terms, computer science is the study of information ("data") and how it can be manipulated ("algorithms") to solve problems, mostly in theory but also in practice. Read More . 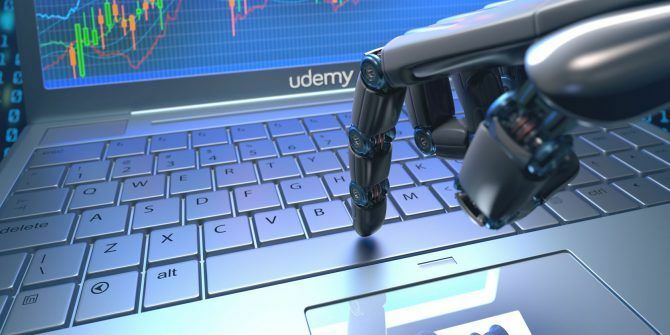 Explore more about: Artificial Intelligence, Education Technology, Machine Learning, Programming, Python, Udemy Courses.